This is not a review of Deadpool 2. Let's call it a rant. This is not a review. Within the first few minutes of Deadpool 2, Vanessa played by the wonderful Morena Baccarin is killed after a happy moment where Wade and Vanessa have decided to make a baby. My friend, also a woman, turned to me and suggest we just walk out and get a drink instead. This is not a review of Deadpool 2. There’s plenty to like about this film. Domino is a great addition to the Marvel universe, played by Zazie Beetz, who brought a new energy and vibe to the X-Men, and I hope will become a permanent part of the franchise. 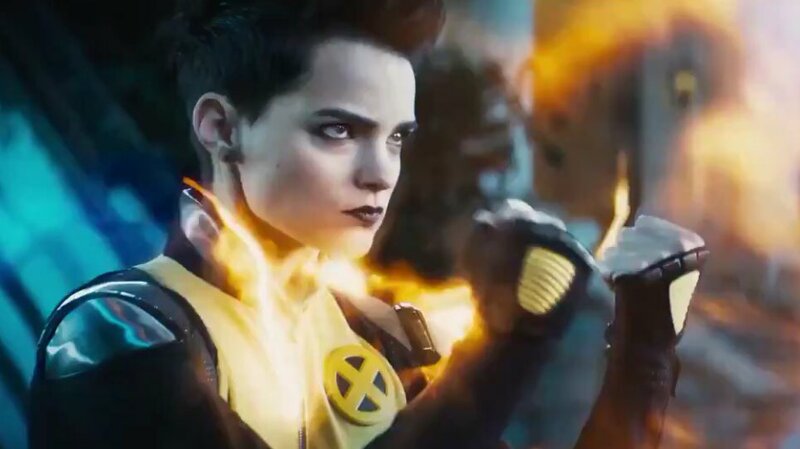 Negasonic Teenage Warhead played by Brianna Hildebrand is back with her girlfriend Yukio played by Shioli Kutsuna. But all these characters serve Deadpool’s ultimate drive, which is about family, offspring, and his dead girlfriend. On top of that freakin’ Cable is trying to kill a kid because of his dead wife and daughter. If you’ve seen the movie, then you are probably thinking, but it all gets fixed in the end! Time travel! Nope, doesn’t matter. For a movie that takes some of the meta-fiction Deadpool moments to talk to the audience about lazy writing, Wade’s motivator is trite, tired, and harmful. Why do movies keep killing women as motivation for the guys? Other people have given more nuanced arguments about fridging (let's go all the way back to Feminist Frequency). I'm just the gif of the guy holding the large clock and yelling. If I could slide through time like Cable, I would have slid right on out of that theater and gotten a drink with my friend instead.